This beautiful Master bath in Falmouth was semi transformed. The homeowner wanted to keep some aspects of the bathroom and the others wanted replaced. 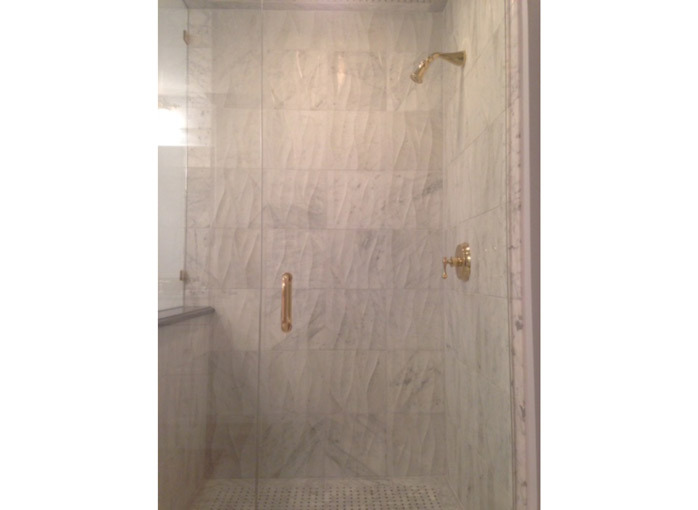 The custom designed shower and floor and countertop as well as some of the fixtures, are all new to the space. The vanity and tub were left from the original bathroom space. We decided to incorporate the beautiful shower wall tile into the tub to give it a new and updated feel. We replaced the old vanity countertop with a new black granite. Overall the space looked beautiful and updated.